Good news! Our son, Bruce, was born on July 2nd (30 minutes after Canada Day! I was literally watching fireworks from our window in the birthing ward of the hospital). Bruce and mom are well, Robin is acting like she already started her terrible twos. All in all, we’re adjusting to life with a newborn again: interrupted sleep, constant feedings and diaper changing. In my humble opinion, being a parent is way waaaaaaayyy harder than owning an investment property. Last year we bought Robin a house to start her investing early. Bruce will get something too, but not likely a house as we have quite a few of those and would rather something truly passive. 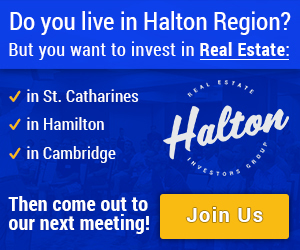 I’ll share details over the next few weeks here and at our upcoming Mr Hamilton Inner Circle Meetings and Webinars. My wife and I have a certain LOVE for our country. My parents were immigrants in search for better educational opportunities for job training. Cherry immigrated here at the age of 16 with her parents, so her and her brother would have access to a world class education. We pretty much won the lottery to be Canadians, hence, the opportunity to represent our wonderful country wearing red and white on the world’s largest stage for sport is an experience of a lifetime and we would gladly sell one or two or three of our houses to make it happen. You may think I’m crazy (and, admittedly, I am) but this is why we do what we do. We don’t own rental properties for the fun of it. We do it to build our wealth to pay for our futures. If my daughter works her tail off and is gifted enough to participate in a once in a lifetime opportunity, then the decision will not come down finances. What if it’s not the Olympics, but instead medical school or law school or a PhD? They all cost money. Our family lawyer, his two kids wanted to practice Law as their father does, but their marks were not good enough so they enrolled in Law School in AUSTRALIA. I doubt you could float those costs on a credit card. Four years of undergraduate tuition alone will be $140,000 for when my kids are old enough. So am I the crazy one? Hopefully I’m not the only one, as this craziness and love for my kids is what drives me to work as hard as I do. And by the way, the sellers’ market in Hamilton continues… 9.1% increase in average Sale Price, year over year. I’m sure glad Robin’s investment property is doing so well. 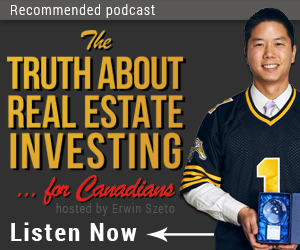 Thank you for reading and Happy Hamilton Real Estate Investing, Everyone! PreviousPrevious post:$200,000 in Rent – Anyone Can Do It!NextNext post:Will the new GO Station drive development?